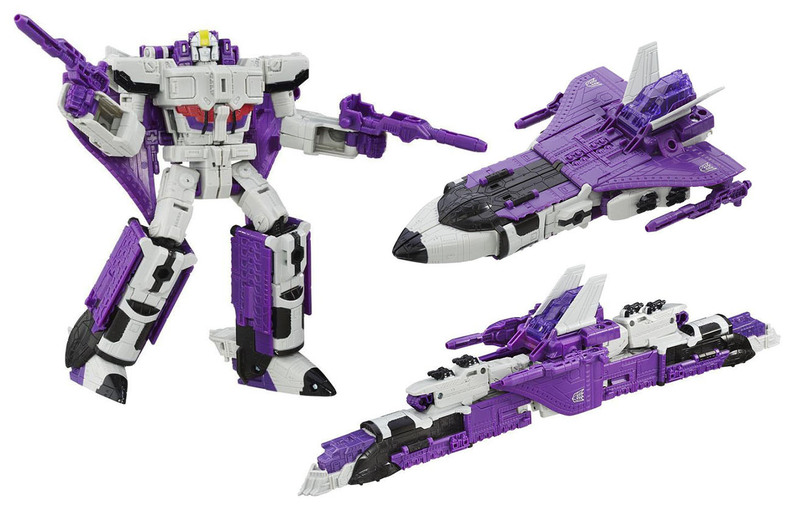 One reason I'm concerned (probably too strong a word) is that, if it's only button-clicks, there's no communication that some of us want a specific coloration of Astrotrain (the US colors not previously reissued), and not something we've already gotten. Then again, the last CHUG Astrotrain toy Hasbro gave us did have his G1 Hasbro toy colors. I can say with confidence that if Astrotrain wins Hasbro will produce him in the colors some of the fans want. Whether they'll be the specific fans you're referring to as "some of us" is up in the air. Does anyone want the white and black one that Hasbro and Takara both already did though? That seems the worst choice of all the viable options. I wrote "Skywarp" on a piece of scrap paper and put it inside a book. I assume that vote will be counted. I completely misunderstood (didn't actually vote). I thought it was going to be a "Vs" pack and we were choosing between the Seekers or the Astrotrain/Perceptor pack. Looks like it might be close. Well, it really wasn't. I counted last night and Skywarp was ahead by over 25 votes (roughly low 50's for TC and high 70's for SW). Astrotrain VS Skywarp in the last round. Little do we know that this confrontation would lead to the birth of Spacewarp. FINAL ROUND: ASTROTRAIN vs SKYWARP. Which G1 classic do you want to make a return to @walmart in Spring 2020?! Vote now in our story! Despite my multiple accounts and getting friends and family to vote for Skywarp. I do hope that they either do the original Hasbro colors or some new cartoon accurate deco. I can't wait for orange and white again! BBTS still has Hasbro's white & black for $60. Come on, Hasbro! Give us Overcharge and a pseudo-Diaclone incarnation of Astrotrain! Or better yet, remake Fever Dream and Star Dasher with modern molds! Theoretically, he should have the blue wings of the original Hasbro release wouldn't he? Meh. I was hoping for a Perceptor since I never had the figure, so this does nothing. I guess I'm done with this line for the foreseeable future. You can get the Takara book reissue for under $50 shipped, with today's 15%-off eBay promo. I think it's a safe bet that one or two of the losers will still get made if the line lasts a bit longer. They wouldn't have been options at all if Hasbro isn't confident they could be made without problem. Not interested at that price, thanks for the heads up though. Especially not right now. As I am broke. Edited by Ms Virion, 15 December 2018 - 11:38 PM. That's probably about as much (if not cheaper than) a new Hasbro one would cost anyway. Yep - if the cab-only Prime really is 49.99, I suspect Perceptor would cost the same.